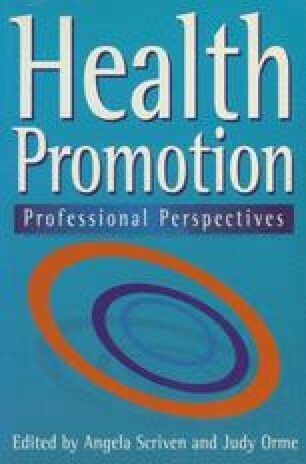 To understand the influence of Family Health Service Authorities (FHSAs) on health promotion, it is helpful to understand what an FHSA does. At the time of writing, the British Government is preparing legislation which will merge FHSAs and District Health Authorities to form a new type of health authority comprising the functions of both its predecessors. The new authorities are likely to be established in 1996. The details of their structure and function remain unspecified. It is, however, reasonable to assume that the present functions of FHSAs will continue within the new bodies, especially since the centrally negotiated contracts of general practitioners (GPs), dentists, pharmacists and opticians remain in place.